Did you know that 1 of every 3 seniors, aged 65 or older, will have a fall this year? Do you know that 80% of all falls occur within, or in a close proximity of, a person’s home? Have you (or someone you know) fallen and laid there for hours or days, unable to get help? These questions give great concern to the mother / daughter, “sandwich generation” caregiver, owner of Around the Clock Medical Alarms. In 1972, her mother died and she was “adopted” by her retired grandparents. This situation is more prevalent in todays’ society, but was unheard of at that time. 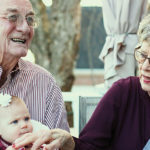 As the primary caregiver for her grandparents, she lived the same challenges that families face today in helping to care for their aging loved ones. She has worked her entire adult life in the medical field by working in various capacities in hospital settings and medical offices, was owner of Comfort Keepers in Cape Girardeau for five years, and was the marketing representative for two local hospice agencies. It is obvious she has a special affinity for the elderly. Around the Clock Medical Alarms was the answer for both women! Additionally, since Around the Clock Medical Alarms is a nationwide provider, they can help anyone, anywhere in the U.S., and have rate plans to meet any budget. No contract means that it can be used on a short-term basis – even post-operatively! https://www.aroundtheclockmedicalalarms.com/wp-content/uploads/2015/09/CONTACT.jpg 460 960 Linda Bass https://www.aroundtheclockmedicalalarms.com/wp-content/uploads/2018/10/logo-300x72.png Linda Bass2018-02-14 13:32:322018-03-19 17:58:10Help. Any Time. Any Day. Any Reason.